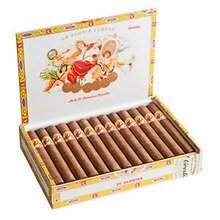 Made in the classic Cuban tradition, the La Gloria Cubana Glorias Extra offers all of the great robust and earthy flavors that the gazillions of happy smokers love about this legendary brand. Packaged in a box of 25. Wonderful smoke! This is a must have for any humidor! With lots of thick smoke and numerous flavors, this is one of the better cigars I've had! I'm may be a little biased because I love anything la Gloria Cubano. This smoke is no exception. Excellent cigar from top to bottom. Awesome construction, great flavor and a smoot draw. Excellent. Good consistent stick. deep rich chocolate, coffee, leather and earth notes. Great burn time and construction. 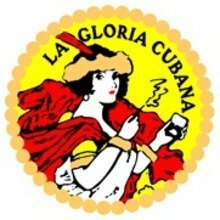 I really love the look Gloria Cubana Gloria's extra. It works well and smokes great. I love to have this one after dinner because it was a nice creamy smoke and go slow in my after-dinner aperitif. She has an ice burn go to nice chocolate you taste Taste of flavors infused. I will buy again soon. This was one of my very favorite all time La Gloria's, but today I prefer the Consuegra. Much better value. Nothing really unique about the LGC flavor these days. I like Glorias. This is a good smoke. Plenty of taste and body. If you like an above average cigar this is worth a try. Very nice oily rapper with a nice consistency. Despite there being a slight crack in the wrapper there was minimal running. Very nice chocolate flavor with slight hints of lemon-pepper. Can't wait to finish the one I've got awaiting!!! What's with the Gloria's? Aint no padron or Patel but still a nice smoke. Nice finish nice construction nice flavor. I have been enjoying these for years. They have a wonderful deep flavor and usually a nice draw with a good amount of smoke. The wrapper is quite tasty. These are known for being well made but I have had some of them unravel on me. All in all it is a very nice cigar at a reasonable price. Hands down....my favorite cigar! You can't go wrong with any la Gloria cubans cigars. 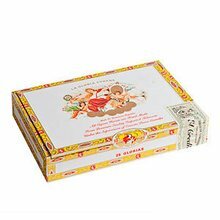 I miss old Roi-Tan cigars and these are as close as I've come to them except much better. Mr. Carrillo sure knew what he was doing when he made these! Loved it! Look at the oil on the wrapper! I love that. Great all around stick. Not very happy with it. Average smoking experience for an above average price. I wouldn't purchase again. I enjoyed this nice cigar. It was a little slow coming into its flavor but once it got going it was very good.